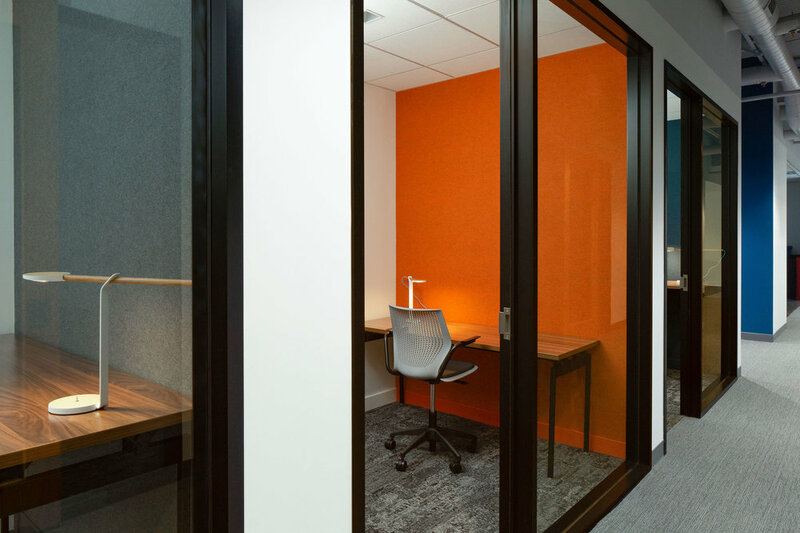 ZoomInfo — Office Resources, Inc.
Overview: Office Resources and Knoll worked with Visnick & Caulfield Associates, Fort Point Project Management and J. Calnan and Associates on ZoomInfo’s fast-paced headquarters relocation. The 75,000 square foot space consists of three floors of workstations, standard and executive private offices, multiple conference and board rooms, team and huddle rooms, phone and wellness rooms along with a café, game room and other touchdown and collaboration areas. Products: Knoll Telescope 120-degree planning stations, Knoll Reff private offices, Knoll Generation and Humanscale Liberty task seating, Datesweiser, Knoll LSM and Knoll Rockwell conference tables and credenzas, Knoll Life, Knoll ReGeneration, and Muuto Fiber conference seating, Knoll Interpole whiteboards, K Lounge seating, Rockwell and Muuto Open Collaboration Areas, Koleksiyon Dilim, Boss Atom, Keilhauer Coy and Oro, Rockwell Steps, Muuto Connect, Hightower Gambrel, and OFS Coact collaboration furniture.